Faster-Than-Light (FTL) technology is discovered and the human race expands into deep space. Space traffic control station established in Antarctica. Android technology developed by Hyperdyne Systems. Estimated from evidence in Alien. ‘Hyperdyne’ from Aliens. Samuel Elias Brett (ID# 724/R4-06J) is born in Houston, Texas, UA. United States of America celebrates it’s Tricentennial and issues a special commemorative patch to active members of it’s Space Fleet (military and commercial). Arthur Coblenz Dallas (ID# 032/V4-07C) is born in Wolf Point, Montana, UA. Dennis Monroe Parker (ID# 313/S4-08M) is born in San Diego, California, UA. 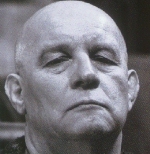 Gilbert Ward ‘Thomas’ Kane (ID# 825/G9-01K) is born in Borehamwood, Hertfordshire, UK/EU. Brett starts working as a mechanic for the family business E-Z-Fly Spacecraft Repair in Houston. 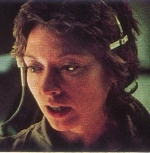 Ellen Louise Ripley (ID# 759/L2-01N) is born in Olympia, Luna, UA. Joan Marie Lambert (ID# 971/L6-02P) is born in Ontario, Canada-UA. Ripley is confined to a lunar quarantine facility following an outbreak of XMB virus. Brett finishes his employment at E-Z-Fly. Brett begins working as a hardware specialist for Solari Energy Corp in Osaka. Brett’s employment with Solari is terminated (SEC/REF#1288-7G). Brett begins working for Ridton Corp.
Brett has his employment with Ridton Corp suspended after flying high-speed cargo vehicles through the Iranistan war zone (RC/REF#24901-B). Brett is checked in to Ridton Medical Facility (London) for alcoholism. Kane begins attending Weatherly Private School. Brett successfully completes treatment for alcoholism (Medscan CERT#34008N). Brett is assigned to deep sea vessel Ozymandias as Assistant Engineer, under Captain Ivey. Dallas graduates from Mercaton flight academy (Flight Status C). Deep space mining station established by Weyland-Yutani Corporation on the planet Thedus beyond the Outer Rim. Space port established in the Solomon Islands. Estimated from evidence in Alien. Dallas is assigned to the salvage vessel USCSS Snark as pilot/ navigator under Captain Van Shuyten (Flight Status B). Kane graduates with honours from Weatherly Private School. Parker begins working as a pit crew mechanic for Speedy Maxx high-speed terrafoil racing team and travelling the DAC racing circuit. Kane starts at Gunning Foss military school. M-Class Starcruiser Nostromo (180924609) constructed. Estimate that Nostromo was about 20 years old in Alien (2122). The registration number is given on a computer screen and later by Ripley when she hails traffic control as 180924609, but crew patches give a registration of 180286. This is further confused by the number written on the outer hull near the bridge which is 180246. 180246 was given as the Nostromo’s registration number in David Giler and Walter Hill’s shooting script. These numbers could all be unrelated, but their similarity points to errors with the Brandywine continuity department. The National Security Act establishes the Colonial Marine Corp.
Brett completes his assignment on the Ozymandias. Brett begins attending Houston School of Astrophysics and Interstellar Engineering. Dallas finishes his assignment on the Snark. Dallas is assigned to military cargo ship UTX Ganymede as pilot, under Captain Britten. The Northern, Central, and Southern American continents consolidate their economic might to form one nation known as The United Americas. From Nostromo crew patch that read ‘Flag of the United Americas – 2104 to Present’. Also sourced from ‘The Authorised Portfolio of Crew Insignias from The UNITED STATES COMMERCIAL SPACESHIP NOSTROMO: Concepts and Derivations’ (Thinking Cap Company 1980). This potentially contradicts the fact that the Nostromo prefix is USCSS (United States Commerical Star Ship) and the Colonial Marines are known as the USCMC (United States Colonial Marine Corps). However, similar to the current European Union, it’s probable individual countries don’t lose their identity. Kane graduates from Gunning Foss Military School at the top of his class. Kane enrols in Bryce-Watkins Medical University. Parker quits Speedy Maxx due to a salary dispute. Dallas finishes his assignment abord the Ganymede. Parker is recruited into the United Americas Outer Rim Defense Fleet as a mechanic of heavy land transports and officer shuttles (rank: Private). Stationed at Skyfire Down. Torin Prime Civil War begins in Outer Rim Territories. Dallas is commissioned into the United Americas Outer Rim Defense Fleet as a Lieutenant. He is stationed at Liberty Echo. Dallas is assigned to the fast attack ship, UAS Leviathan, as pilot (flight status A), under Major Baines. Parker is promoted to Corporal. Serves as chief mechanic at Skyfire Down. Parker is captured by J’Har rebels and imprisoned at Concentration Camp GR-161 on Torin Prime. Establishes underground black market for POWs. Kane is expelled from Bryce-Watkins Medical School for substance abuse, and subsequently successfully treated for drug-induced embolism and stress. Torin Prime Civil War ends, with the liberation of the planet. Dallas finishes his assignment on the Leviathan. Parker constructs an EEV from scrap during liberation of Torin Prime and escapes from GR-161. Dallas is given the Sunburst Medal of Honour and promoted to Captain. Dallas is given command of the troop carrier, UAS Archangel (flight status AA). Brett graduates from the Houston School of Astrophysics and Interstellar Engineering. Brett is assigned to Weyland-Yutani waste disposal vessel USCSS Corazon Oscuro as Assistant Engineer, under Captain Speight (Flight status C). Kane begins attending the Wellington Academy in Suffolk, UK/EU. Parker is honourably discharged from UAORD. Parker begins attending San Diego School of Astro-Engineering. UAS Archangel troop carrier under Captain Dallas is destroyed during a peacekeeping mission on Thedus. 15293 lives are lost. Dallas receives a Dishonourable Discharge from the UAORD and has his flight status revoked. Ripley’s 16 year quarantine is lifted as she tests negative for XMB virus (Medscan CERT#90156E). From Aliens. Amanda was 66 when she died in 2177. Exact date taken from the photo Ripley looks at before the inquest. Ripley begins attending Evansbrook Academy. Brett suffers minor brain damage during a cerebral detox procedure at a Weyland Yutani medical facility on Titan. Lambert graduates from New Ontario University with Masters in Astro Cartography. Lambert begins an internship at Ridton Corp in the Astro-Cartography Dept in London/UK-EU. Lambert completes internship at Ridton Corp.
Lambert marries Xander Chapman, Director of Astro-Cartography at Ridton Corp (RC#044812-L). Kane begins working on a UK/EU archeological dig on Konor Minor, co-supervising with Dr Elisabeth Monygham. Parker quits San Diego School of Astro-Engineering before completing his degree. Brett is released from Weyland-Yutani Medical Facility after approximately 14 months recuperation. Brett has his flight status restored after he passes a WY Ment/Psych/Cog-5 exam (WY/PSYCH CERT#921B-F7). Brett begins working as Assistant Engineering Tech at the Weyland Yutani Fusion Reactor facility on Titan. Dallas begins serving as a smuggler on the Vidar under Captain Joshua. Parker begins work as a freelance mechanic/ engineer for MexCorp, serving on unauthorised medicinal cargo ops. Parker finishes working with Mexcorp. Dallas begins freelance cargo hauling of hazardous materials for Weyland-Yutani (probationary flight status D). Parker assigned to UA Lightspeed Accelerator Threshold, Neptune. Lambert finishes her assignment with Farside Lunar Mining. 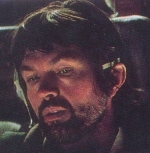 Lambert is assigned to Red Star Line pleasure cruiser Infinity as Assistant Navigator on the Mars-Orion route (Flight status C). Dallas finishes freelancing for Weyland Yutani. Kane marries Elisabeth Monygham (JCL#67-2309). Van Leuwen is born in Winnipeg, Manitoba, Canada-UA. Lambert ends her assignment on the Infinity. Lambert is assigned to Ridton Corp salvage vessel Leggatt as Navigator/ Comm Officer under Captain Leigh. Parker completes his assignment at the UA LAT. Parker is assigned to Weyland-Yutani cargo vessel USCSS Otago as Assistant Engineer, under Captain Mortenson. Ripley graduates from Evansbrook Academy at the top of her class, showing aptitude for ethics, law and corporate affairs. Ripley recruited into Weyland-Yutani’s Horizons Beyond Officer Training Program (Trainee flight status CC). Dr Elisabeth Monygham is killed in a decompression accident on Kellerat (LB-329). Ripley successfully negotiates an end to a hostage crisis on Weyland-Yutani shuttle craft Erebus saving 49 lives and resulting in the conviction of 8 terrorists. Kane has his request for reassignment approved (UK/EU REF#2109-EB/03). 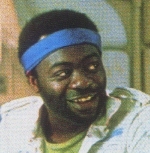 Kane assigned to UK/EU Colonial Expedition to Outer Rim Territories as mission analyst (Flight status B). USCSS Nostromo refitted as a commercial towing vehicle. From Aliens : Colonial Marines Technical Manual. Ripley completes the Weyland-Yutani Horizons Beyond program with Honours. Ripley is assigned to the cargo vessel USCSS Kurtz as Junior Warrant Officer (Flight status BC) under Captain Archbold. Parker completes his assignment on the Otago. Parker is assigned to Weyland-Yutani cargo vessel USCSS Nonnabo as Engineer (flight status: C), under Captain Keeney. Brett finishes his assignment on Titan. Kane completes his assignment in the Outer Rim (Flight status: B). 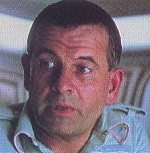 Kane is assigned to the UK/EU colonial transport HMS Sabretooth as First Officer under Captain Lai (Flight status: BA). Brett is assigned to Weyland-Yutani cargo vessel USCSS Nonnabo as Engineering Tech, under Captain Keeney. Ripley’s assignment on the Kurtz ends. Ripley is assigned to Weyland-Yutani cargo vessel USCSS Sephoria as Warrant Officer under Captain Eliot. Ash 120/A2 android is activated. From Aliens. On the screen behind Ripley during the inquiry. Ripley finishes her assignment on the Sephoria. Ripley’s request for parental leave is denied (WY/REF#29150). Kane finishes his assignment on the Sabretooth. Weyland-Yutani suspends Ripley’s salary and flight status. Lambert’s stint on the Leggatt ends. From Alien DVD. I’ve actually changed the date on this one slightly. The DVD says she started maternity leave on 19 Sep 2119 and was on leave until 27 Oct 2119. As there is an unexplained year long gap after Ripley is reinstated, and contemporary mat leave standards are around 16 weeks paid leave plus up to 9 months unpaid in some places, I’ve said Ripley was off about 13 months all told. Also, while the film references maternity leave, this occurs when a child is born, hence the rewording to parental. Lambert marries Lordan Hussett, Executive Officer of the Ridton Corp Salvage Vessel Leggatt. Kane is assigned to Weyland-Yutani salvage vessel USCSS Kenamor as Executive Officer under Captain Kahn (Flight status: AB). Lambert is assigned to Weyland-Yutani scout vessel Adowa as Navigator under Captain Paine (Flight status BC). Ripley finishes her parental leave. Ripley is assigned to Weyland-Yutani cargo vessel USCSS Sotillo as Warrant Officer under Captain Rosendo. The Tremolino is decommisioned and the crew disbanded. Kane ends his assignment on the Kenamor. Lambert completes her assignment on the Adowa. Lambert divorces Lordan Hussett (WY/REF#37091). Dallas is given command of USCSS Nostromo (flight status B). Kane and Lambert are assigned to the USCSS Nostromo as Executive Officer (Flight status A) and Navigator (Flight status B) respectively. USCSS Nostromo leaves the Solomons bound for Thedus. Estimate based on information from Alien and some guess work. When the crew were woken they were about half way home, and it was a 10 month trip from LV-426 to Earth. However they were detoured (estimating the detour to LV-426 sent them several months out of their way). Therefore we have a 32 month trip from Earth to Thedus return (approx. 16 months each way). Ripley completes her assignment on the Sotillo. 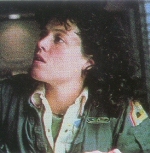 Ellen Ripley joins crew of USCSS Nostromo en route to Thedus, as Warrant Officer (Flight status B). Parker and Brett ends their time on the Nonnabo. Parker and Brett join the crew of the USCSS Nostromo en route to Thedus, as Engineer and Engineering Tech respectively. Harold Andrews is born in Barnsley, Yorkshire, UK/EU. USCSS Nostromo arrives at Thedus and commences cargo loading. USCSS Nostromo leaves Thedus with 20,000,000 tonnes of mineral ore, bound for Earth. Her science officer is replaced with Ash (ID# 111/C2/01X). From Alien. Date is from Alien DVD. USCSS Nostromo encounters what is assumed to be a distress signal emanating from the planetoid designated LV-426, in the Zeta 2 Reticuli system. They land and Captain Dallas, Executive Officer Kane, and Navigator Lambert investigate a derelict spacecraft that contains the fossilised remains of an unknown alien species, and thousands of Xenomorph eggs. One of the xenomorph spore (‘facehugger’) attaches itself to Kane’s face and implants an embryo in his chest. After approximately 20 hours on LV-426, the Nostromo takes off again, by which time the facehugger has detached from Kane. Shortly after setting course for Earth Kane wakens. During a final meal before returning to hypersleep, the embryo inside Kane hatches, killing him. The hatchling (‘chestburster’) grows to over 7 feet tall in about 2 hours and kills Engineer’s Mate Brett, during a search for the creature. About 30 minutes later Captain Dallas is taken by the Alien, while trying to force it through the ship’s ducts towards the airlock. Warrant Officer Ripley discovers that Weyland-Yutani want the Alien specimen and the crew of the Nostromo are expendable. It is revealed Science Officer Ash is in fact a Hyperdyne Systems 120-A/2 android, who has been protecting the Alien. Chief Engineer Parker renders Ash inoperative when Ash attacks Ripley. Parker and Lambert are killed by the Alien whilst evacuating the Nostromo. Ripley rigs the ship to self-destruct and escapes on the shuttlecraft Narcissus with the ship’s cat Mr Jones. The Alien also escapes on the shuttle, but Ripley manages to blow it out of the airlock, effectively killing it. From Alien. Timings are estimates based around the times mentioned in the film. Parker overestimated repair times at 25 hours, however the repairs weren’t complete when Dallas order the ship to take off. A deleted scene estimates 1-2 hours for Brett and Parker to rig up the cattle prods. Parker mentions it would take about 20 minutes to rig up the incinerators. Beacon onboard Shuttlecraft Narcissus fails. Shuttlecraft Narcissus reaches the Frontier. USCSS Nostromo is declared missing. Information has been researched from the four Alien films and their novelisations, and is based on the date ‘6/12/79’ given by Ripley in Aliens. Judging from the technology in the series, I’ve assumed this date to be the 12th of June 2179. If information or events in a novelisation contradict a film, then the film takes precedence. Ages of characters are based on the actors age, unless specifically stated in films, novelisations, or other named sources. Some estimates are a best guess from all available data. Some estimates are a complete guess, and may therefore be wildly innaccurate. There is a potential error on the Alien DVD concerning the age of Amanda Ripley. From what we glean from the DVD she is born in September 2119, however this doesn’t correlate with the info from the films regarding Amanda’s age. Of course when the DVD says Ellen Ripley was on Maternity Leave during September-October 2119, it may have just been to spend time with daughter, not actually give birth to her. SPECIAL NOTE: When the future crew of the Nostromo were born, the United Americas wasn’t known as the United Americas, however their birth records were adjusted when the UA came into existance. Kane was born in the United Kingdom which is part of the European Union. REGARDING THE INQUIRY DATA: During the inquiry scene in Aliens, personnel histories of the Nostromo scroll on a screen in the background. Until the advent of the Alien Anthology Blu-Rays, this was illegible. Investigations of the data reveal it to be largely self referential and not intended for close scrutiny. 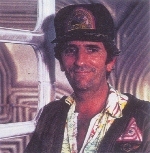 Ship names are generally taken from names of key crew members on the first Alien film, along with other in jokes (a reference to The Terminator for example). On top of this the dates don’t follow the established date mentioned by Ripley in the film. There are some similarities in the crew histories, but due to the more accurate dating from Alien Legacy DVDs, as well as following the established standard of Conradian ship naming conventions, these have been used instead. One thing that’s been taken from the inquiry data is the full names of the crew. In all instances bar one, these names have taken precedence over the initials listed in the Alien Legacy. The ‘one’ is Dallas. In the inquiry he’s listed as ‘Arthur Dallas Coblenz’. To conform with the fact the guy is always called Dallas and not Coblenz, I’ve shifted the Coblenz to be a second name. 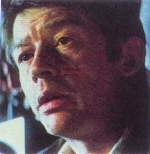 Kane’s name of ‘Thomas’ was taken from the novelisation and turned into a nickname (this was subsequently adopted by Fox when producing the Anthology blu-ray menus).